Yes, that one would be nice to see in the sim as well! More interesting point to consider when heading South. Just a few ideas....by the way, GCLP Airport has been improved with new facilities at North which does not seem to appear in the images but i assume these captures shown are more related to surroundings rather than GCLP itself...keep waiting! This photo from one of my flight with a Diamond DA20 Katana. You can see the plant on the right side. Please finish Malaga first, there is really no scenery that looks ok for Malaga! I'm sure the development of Gran Canaria does not affect the development of Malaga in any way. Simwings is a large company with several developers each working on different projects. Malaga is done by other developers than Gran Canaria. An where is my home, Tenerife? And where is mine, Dinslaken? Lol, if everybody over here wants to have his home airport done you'd be busy for the next 10 years. I'm lucky to have mine (Lelystad) developed. Sure Tenerife will follow when the time is ready. In the meanwhile you can use Sim Giants Tenerife North and SimBreeze Tenerife South. They're by far not as good as Aerosoft sceneries, but at least it's something. Anything is better than nothing at all. I hope that El Berriel is included in this Scenery?!? I would be surprised if it wasn't included. In the end, the sim-wings team also included Son Bonet and San Luis aerodromes, besides the islands' main airports, when they designed Mallorca and Menorca. This year or 2017 ? 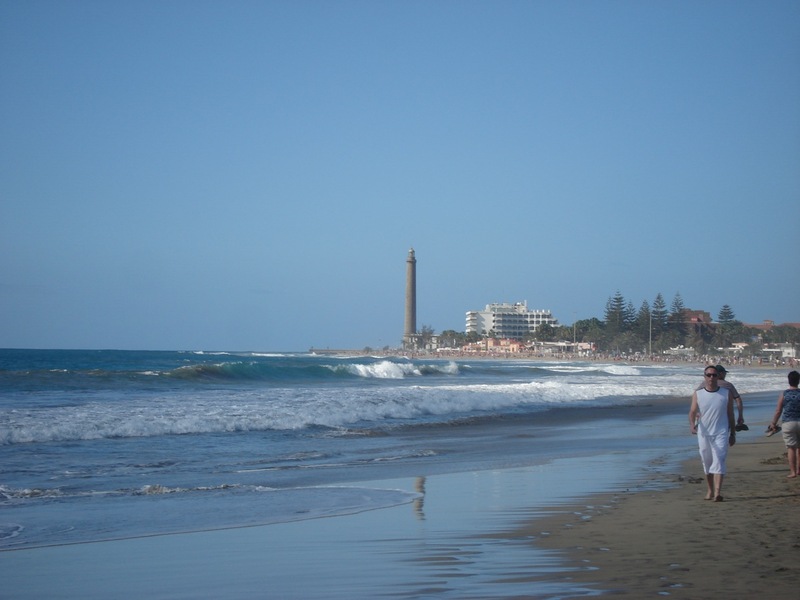 I will not push, just a info, because I will spend my Holiday this year in Gran Canaria ! Any news regarding development of this beautiful island and airport? Are there any news about GCLP? I'm Really looking forward to this one but not had any news for 2 months now. It would be wonderful to get some progress news and an approximate release date please. Apart from Emi's tongue-in-cheek remark about his home airport, there has been no word from Aerosoft staff about this airport since the project was announced on 2 May. I appreciate that Simwings are busy people, but surely after almost 6 months there must be something new to report? Sorry, no annoying Tapatalk signature here! Perhaps they abandoned the Gran Canaria project and in my opinion rightfully so. As much as I like the idea of a Gran Canaria scenery I much prefer the island of Tenerife with its two airports. Guys, come on! Most of the developers do not develop full-time... And have more than 1 scenery in production. Sim-wings has already re-done La Palma and El Hierro, guess we'll need some more patience. Sorry guys, as by now we sometimes have to rework our "not so old" sceneries to keep them up to date, we have less time for rebuild other "very old" or new sceneries. I think you understand what I mean. So we must sometimes change priorities for our sceneries, depending on the market situation. For this reason we do not give any more detailed information and time estimations, sorry about that. Also we want to say that we will redo or update at least 95 % of our ever done sceneries, athough there will be other competitors. @737Pilot (sim-wings) Thank you once more for the great transparency your team provides regarding your ongoing projects! Can you be a bit more specific, though, what you mean with your "not so old sceneries" - at which scenery age does that start? Does that include all sceneries you already developed for FSX, i.e. including Barcelona, Paris-CDG and theoretically Madrid (although I reckon that you won't include that, since Latinwings already develops a new Madrid, probably on behalf of Aerosoft)? Or does the reworking schedule include even some FS2004 sceneries? I saw that you released Menorca X a couple of days ago. the next on the list is GCLP now? I think Barcelona will be the next Simwings release, it looks pretty much finished. From Gran Canaria we've only seen pictures from a distance until now, so it appears there's still a lot of work to be done. Hopefully now that Menorca and soon Barcelona will be finished there'll be more time for the Canaries.